Late term abortion is highly risky and contentious as the fetus is more developed and at times viable too. A late-term abortion usually refers to an induced abortion procedure carried out after the 20th week of gestation (few people refer to abortion after 24 weeks as late term abortion). 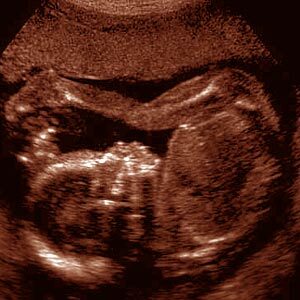 The term late-term cannot be clearly defined as it depends on the viability of the fetus. Few late-term abortions are termed as post-viability abortions. There are no clear statistics as to why people resort to late term abortions. Late term abortion is usually performed as an out-patient procedure and does not require hospitalization. Late term abortions are not legal though it is legal to terminate a pregnancy up to birth if there is a serious risk involving physical or mental abnormality of the fetus or the mother. In the United States, late term abortions are illegal. Anti-abortion people feel that late term abortion is brutal as it involves killing a viable fetus whereas pro-abortion people feel that late term abortions are necessary in cases where the health of the fetus or the woman is at risk. Late term abortions can be performed only after 2 qualified doctors certify the risks involved in carrying forward the pregnancy. Dilation and evacuation (D & E): The cervix is dilated and fetus is removed by inserting forceps and suction tube into the uterus. After the removal of the fetus, vacuum aspiration is used to remove the remnant tissues. The procedure generally takes between 10-20 minutes and if the patient is healthy there will not be any complications. Patient might experience bleeding for up to 14 days. This procedure is carried out during the second trimester. Intact dilation and extraction(IDX or D & X): Also known as partial-birth abortion, this procedure is a 2-3 day process. The cervix is dilated and forceps are used to grab the fetus's leg to place it in breech position. After this the fetus is partially pulled out of the birth canal (the head remains inside the canal). An incision is made at the base of the skull to remove the brain tissue; this forces the skull to collapse. After this the entire dead fetus is removed. This procedure is carried out during the third trimester; these abortions are very rarely performed these days. Early induction of labor: This procedure is very painful and is rarely used these days. Abortions done due to fetal abnormality are usually performed with induction of labor or with IDX and elective late-term abortions are generally performed with D & E.
The woman does not realize she is pregnant. Mistake while calculating the last menstrual period. Fright in the woman prevents her from telling her partner/parents about the pregnancy thus delaying abortion decision. Prolonged time to decide on abortion, by the time the decision is made the pregnancy would have already completed the first trimester. Difficulty to locate a right hospital to abort during the early stages of pregnancy. Emotional trauma faced by the woman from a broken relationship that caused the pregnancy. Nil awareness about late abortion. Major problem in the fetus. Major problem in the woman's health. Confirmation of pregnancy: The hospital will get an ultrasound done to confirm the exact gestation period. Pre-operative assessment: Routine lab tests like Rh typing, hemoglobin testing, and urinalysis are done. Patients will be screened for anesthesia effects also. Counseling: Counseling is very essential for every woman who opts for late term abortion as it will help her deal with mental stress. Counseling services should also offer information about the procedure and the possible risks and complications involved. Patient should be allowed to talk about her condition, both physical and mental. The hospital should educate the woman about the different options available to carry out the abortion. Woman should be allowed to choose the abortion method (with the consent of the healthcare provider). Woman should be educated about the risks and complications involved in the procedure. After the abortion process, the patient will be sent to the recovery room and educated about after- care. The patient should return to the hospital for a follow-up check-up as advised by the doctor. Any surgical procedure can be risky and create complications. Late term abortion is an invasive procedure and can be painful. Bleeding and cramping might last for about one week. Sedation induced during the procedure might cause discomfort. The United States Supreme Court's decision on abortion permits states to impose strict restrictions on post-viability abortions. As of April 2007, 36 states had bans on late-term abortions with exceptions like threat to the woman's life, physical health, and mental health. Few states permit late-term abortions only when the woman's life is at risk; few others permit late-term abortions if the woman's life or physical health is at risk. An observation is that out of the total number of abortions performed per year only 1% occurred at 21 weeks or more gestation. Late-term abortions are more common in New York, Georgia followed by New Jersey.